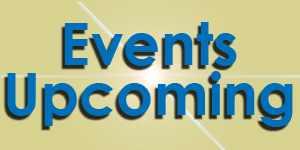 Enriching lives through community, lifelong Jewish learning, & spiritual growth! Derekh will be a center for pluralistic, engaging learning, and transformational Jewish experiences. Through targeted programming, Derekh encourages participation in new ways, growing and expanding Jewish experiences within the five portals. Throughout this year we will be experimenting with new programs and activities, striving to meet your unique needs. 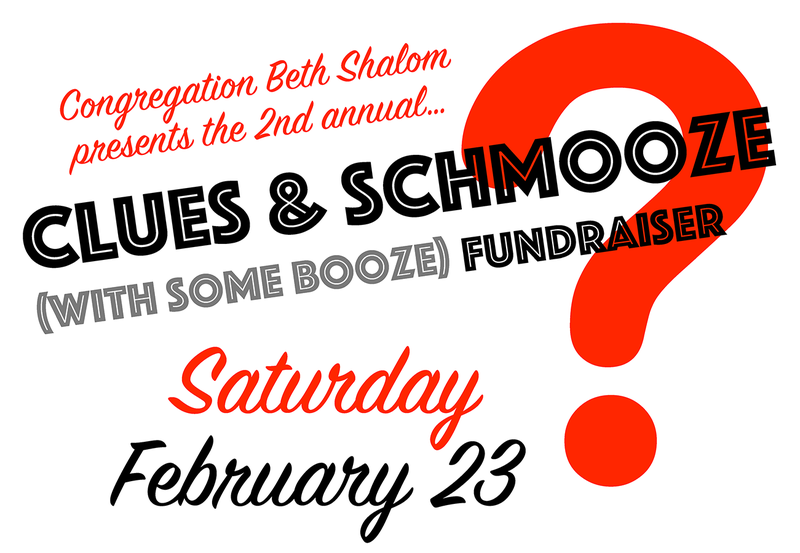 We encourage you to reach out and tell us what you need, try something new, challenge yourself, and be a partner for this new project of Beth Shalom. To see the breakdown of each portal, check out the Derekh info sheet here. 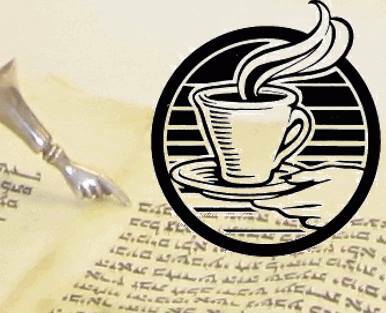 Coffee with the Cantor | Every Wednesday morning at 11:00 am to 12:30 pm, with our Executive Director, Hazzan Rob Menes at Congregation Beth Shalom. Do you have an idea you are really excited about? Connect with us! As Congregation Beth Shalom enters its second century, we aim to build a new center for Jewish life and learning that will reach into and beyond the membership of the congregation. 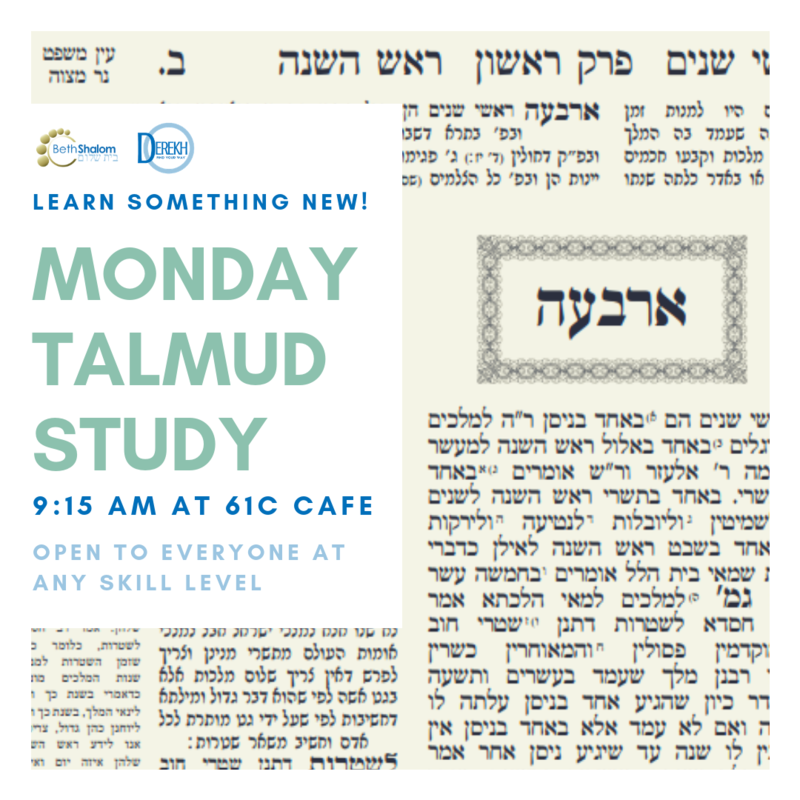 The goal is to provide a new range of programming that will benefit the Squirrel Hill community and transform Jewish life in Pittsburgh by providing new and accessible portals to Jewish engagement and lifelong Jewish learning. The foundation of Judaism is a commitment to the compelling, ever recurring question: “How do I become the best person I can be?” Derekh is Beth Shalom’s acknowledgment of and commitment to creating accessible portals to Jewish learning and experience for anyone who seeks answers to captivating, essential questions. Derekh will be the address in Squirrel Hill for those for whom Jewish identity is faithful, ethical, cultural, or for anybody who simply wants to broaden their perspective and heighten their daily experience. 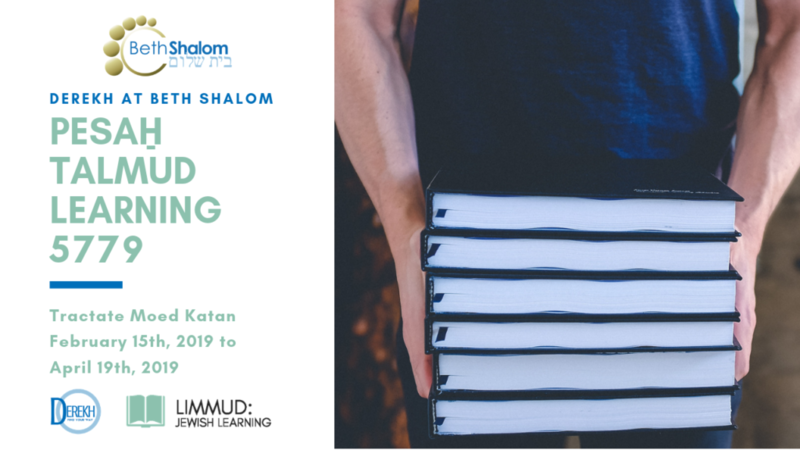 The hub of this new initiative will be the Open Community Beit Midrash, a dedicated, contemporary space at Beth Shalom, which will feature programming, speakers, films, mindfulness activities, music, and so forth, all intended to make new connections and transform our community’s relationship with Jewish tradition.